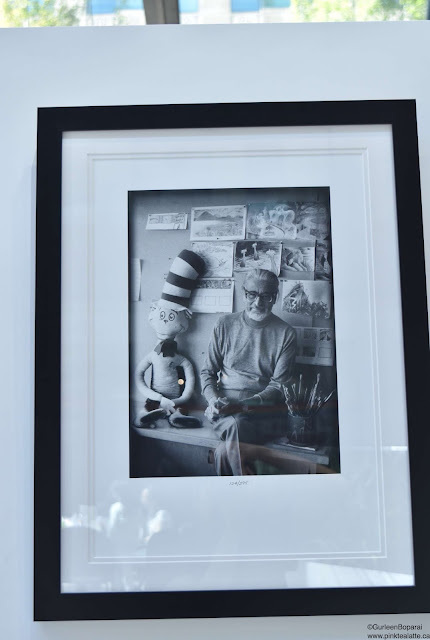 I was born in the early 90's and Theodor Seuss Geisel aka Dr. Seuss was a big part of my childhood. 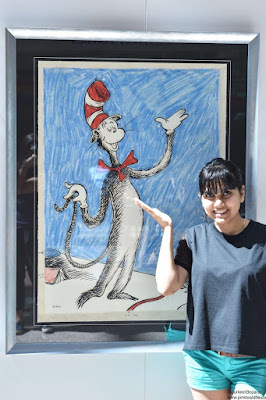 I remember reading Cat and the Hat in elementary school and my mum reading Green Eggs and Ham to me. My parents were super cool and we actually have a large majority of the Dr. Seuss books. We have all come to recognize his iconic artwork and fall in love with his characters residing in Suessville. Oh boy is this picture crooked! I am short and the picture was hung above my head! 1957 was the year Dr. Seuss published two of his most beloved books: The Cat in the Hat and How the Grinch Stole Christmas. Both of these books have been adapted into feature film blockbusters. Random fact, the little girl in How the Grinch Stole Christmas was played by Tayler Momsen who also happened to play Jenny Humphrey in my favourite show Gossip Girl! As well, Jim Carrey playing the Grinch - he was a genius at it! 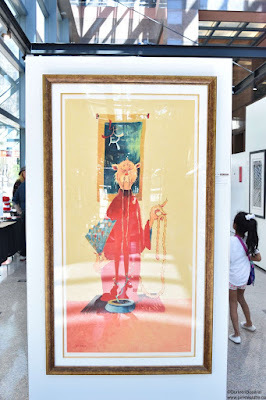 I got super lucky and was able to catch the final day of the Dr. Seuss's Secrets of the Deep Art Show. If I did not work downtown, I probably would have missed this amazing collection of work. Dr. Seuss had a unique style, in-between surrealism and child-like drawings, which is now simply recognized as "suessian." A career spanning 7 decades, Dr. Suess published forty-four children's books amongst 100s of editorials and cartoons. 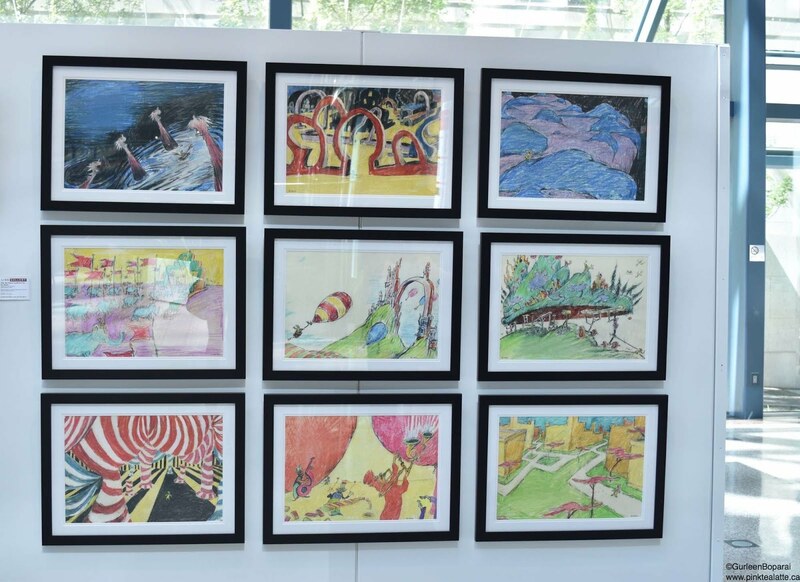 The free exhibition held in Vancouver's Pendulum building, spanned between July 11th and 30th featuring a glimpse into Dr. Seuss's private work of art. Ted called this collection "his Secret Art" as he wanted to keep it hidden from critics of the world and only be shown after his passing. 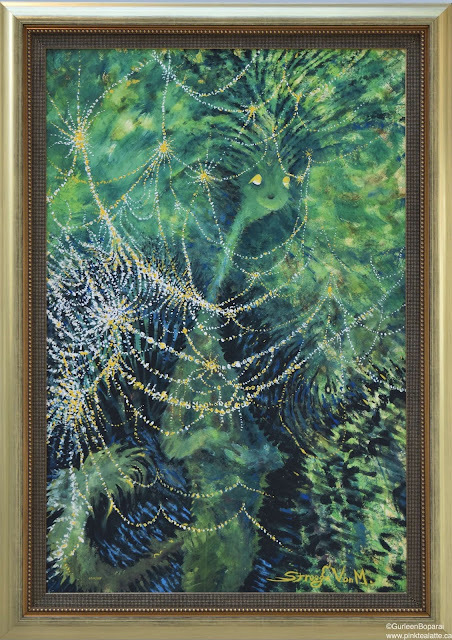 The beloved writer passed away in 1991 and his dream of having his private art work displayed has come true! 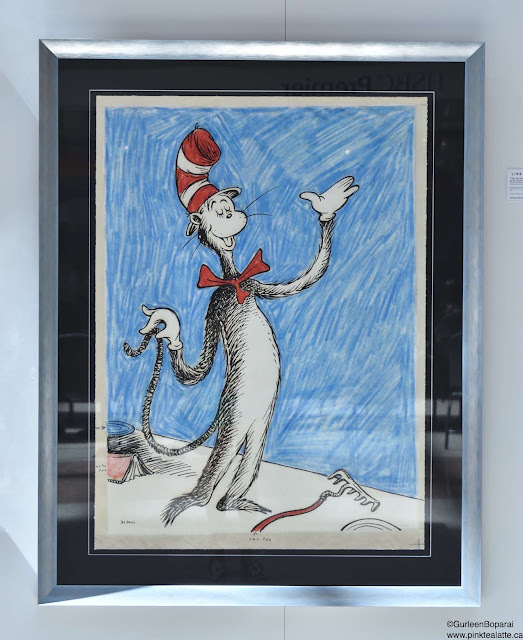 Everyone around me was smiling as they looked at the paintings because we all are familiar with Dr. Seuss and we able to understand and connect with the paintings. There was an excitement in the air and it was really cute that some parents brought their young ones to show them what they grew up reading. 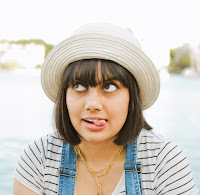 Generally when I visit an art gallery, it is very quiet and most people either have an expression of serious concentration or just plain boredom. I think it is because we are not able to connect with the works of Van Gogh or Picasso because even though it is a priceless piece of art that is discussed in university lectures, the general public does not understand what all the fuss is about?!?! Haha I am not going to lie, I am definitely one of those individuals who rather be at the movies than be staring at some modern piece of art that is a giant red blob in the middle of white canvas because I just do not get it! I highly suggest finding out if this exhibition will be in your city because it is super cool!